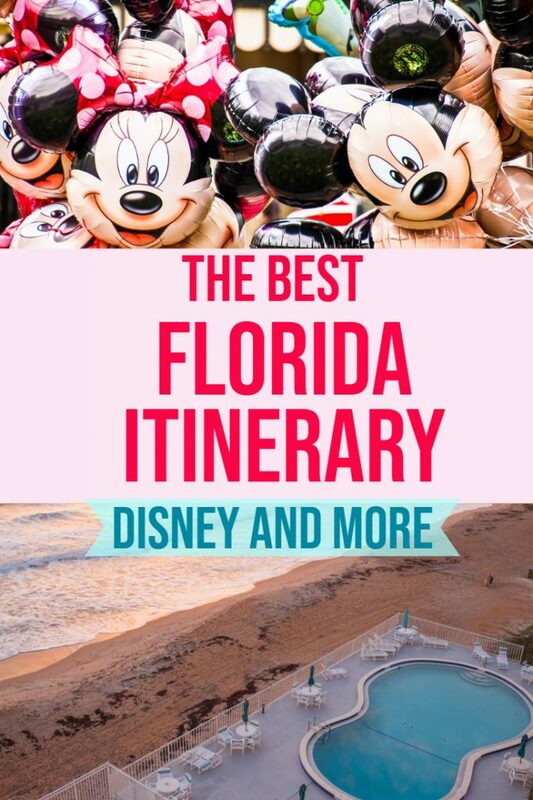 When planning our Florida Itinerary I knew I wanted it to be more than just a trip to Disney. But visiting Disney World in Orlando was also high on the list of things to do. Florida is so much more than just Disney and theme parks, it also has amazing nature parks, beaches and history. Orlando is a great starting point for a rich and full Florida Itinerary. Head to the happiest place on earth (of course I’m talking about Disney). 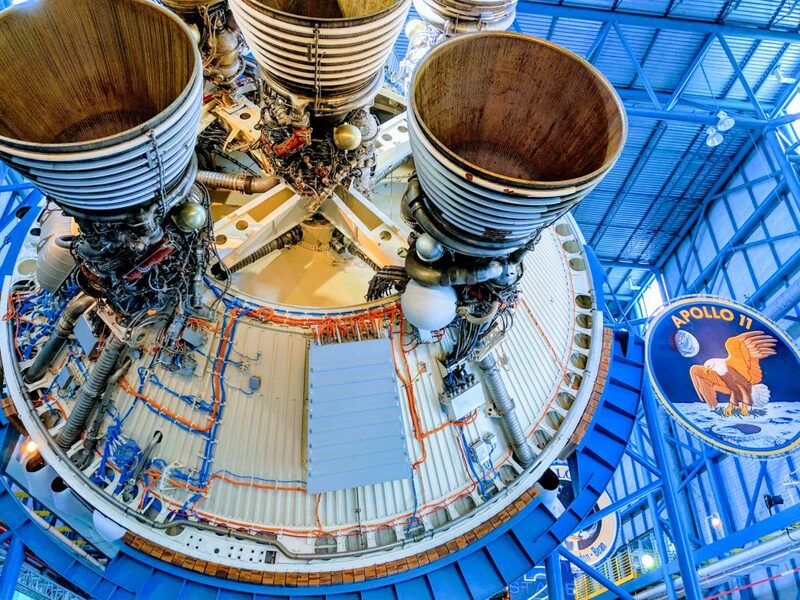 Get your space nerd on at the Kennedy Space Center. Spend time in nature looking for wildlife. Have fun on Florida’s best beaches. It is the perfect formula for a fun family holiday. 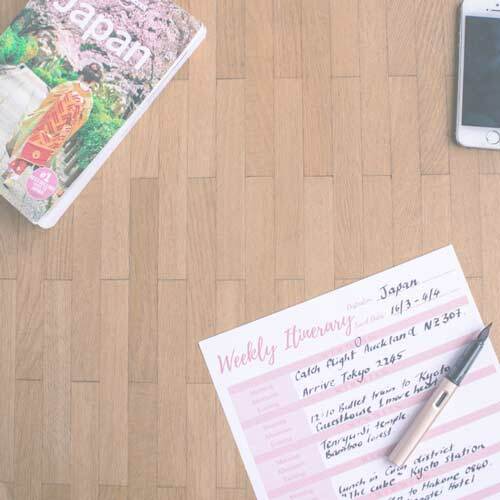 All of these activities could also be done as Florida day trips with kids especially if you are a frequent visitor to Orlando and looking for a day trip to do from Universal Studios or Disney World. There are 2 airports that service the Orlando area and it is worthwhile looking for flights for both airports especially if you are flying from within the USA. Orlando International Airport is the main airport and the free transfers to Disney leave only from here. Budget airline Allegiant is the main carrier out of Orlando Sanford International Airport which you will find a bit further out of the city to the North East. We hired a rental car with Alamo for the duration of our stay and were able to pick it up at Orlando airport and drop it back at Sanford without incurring a fee. Where to stay in Florida? For me Florida equals beaches so we decided to base ourselves on the coast. We spent 2 nights in one of Disney’s value resorts and the rest of the time in a Home Exchange in Ormond Beach about an hour from Orlando. We’ve used Airbnb a number of times and there are a number of beachside condos for rent all along the beautiful coastline. 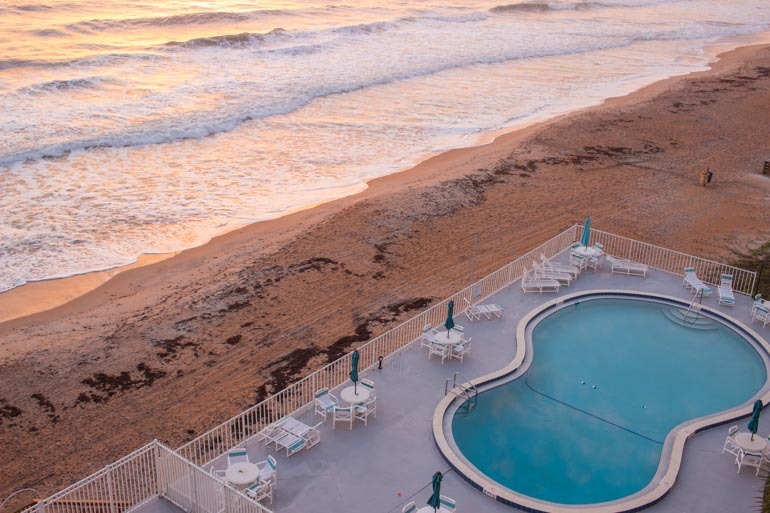 Some beautiful beaches to consider are Ormond Beach, Daytona Beach, Cocoa Beach or New Smyrna. If you haven’t used Airbnb before click here to receive a $25 discount on your first booking. 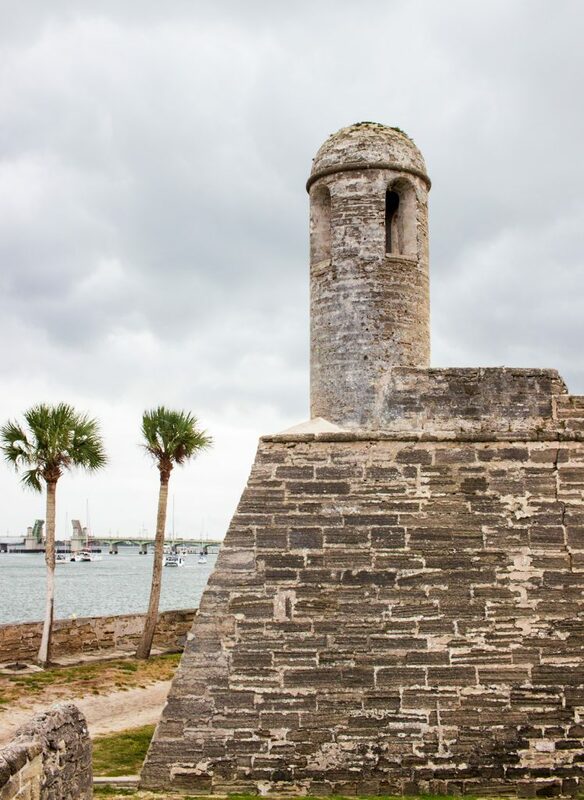 St Augustine is the oldest city in the USA with its history spanning over 450 years. An important port for trade with Europe and a target for pirates, the city has been under Spanish, English, Confederate and finally American rule. 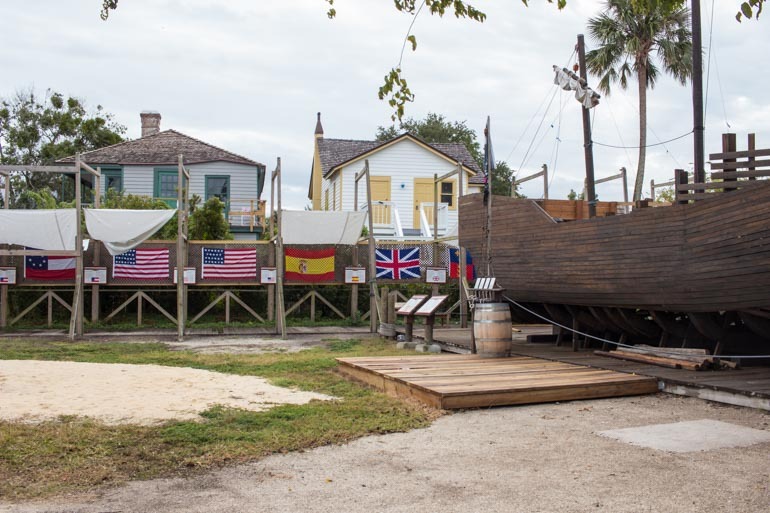 With a fort and well-preserved old town there is plenty to see in St Augustine. There is hop on hop off trolley tour that covers all of the main sites as well as runs a shuttle to the beach. Alternatively park in near the old town where many of the sites can be visited by foot. 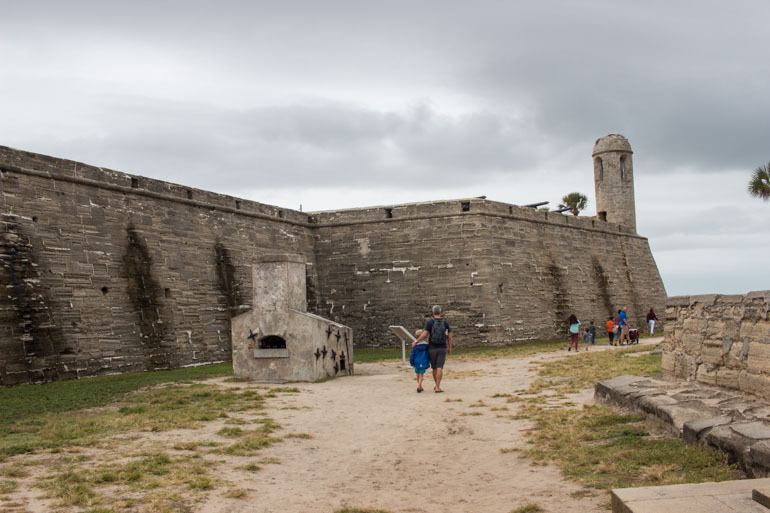 Visit the Castillo de San Marcos, St Augustine’s fort which has protected the city for centuries. We didn’t go in to the fort due to a thunder storm closing the upper levels but walking around the base we found information plaques that gave us some interesting facts and history of how the fortress was used and prepared for invasions. 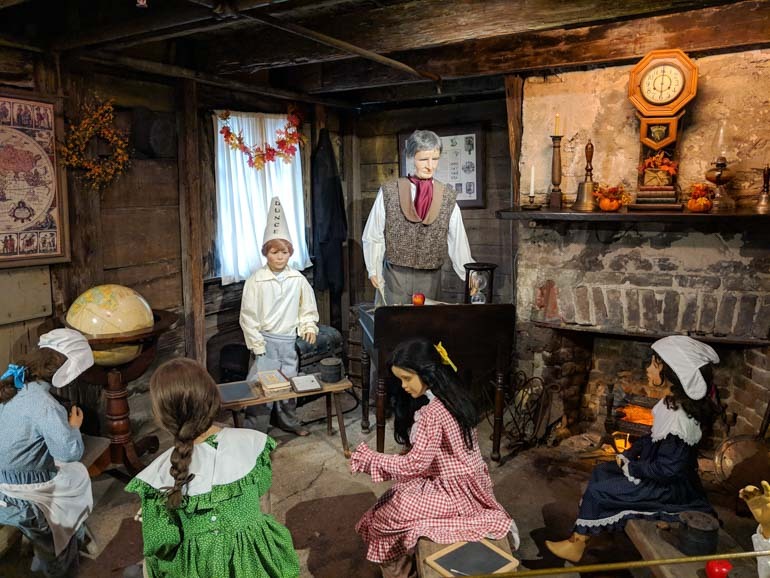 The old school house is one of the oldest wooden buildings in America, built in the early 1700s and running as a school until the 1860s, the inside of the small building houses a short animatronic display showing an example of school life. The favourite of my kids was to ring the school bell over and over again. 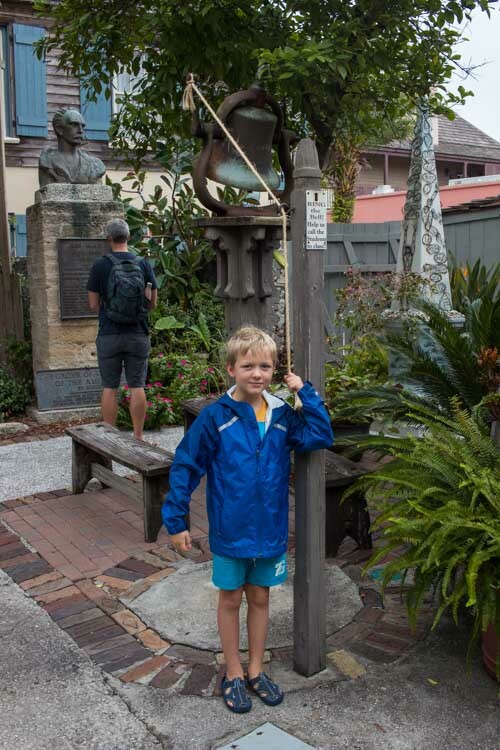 Visit the Colonial Quarter in time for a tour to really get to know what life was like in St Augustine. 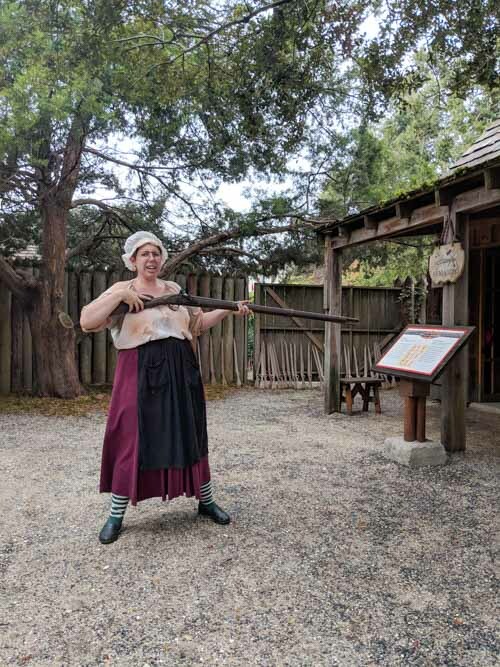 A highlight was seeing an old musket, similar to what pirates would have used, being fired. There is free parking provided by trolley tours otherwise you will need to pay for parking at a cost of about $2.50 per hour. We found free parking a few blocks away but even on a quiet day they were few and far between. 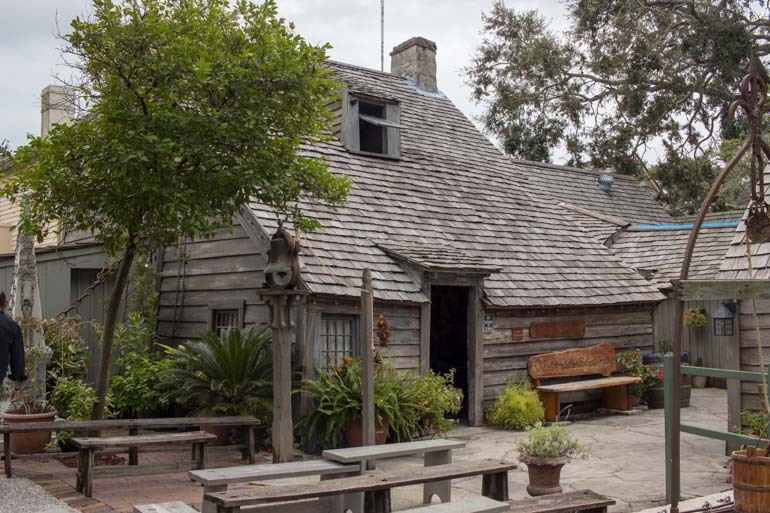 There are plenty of museums, a lighthouse, boat trips and lots of options for eating in St Augustine. We only spent a day here but you could easily add some beach time and fill in a week. 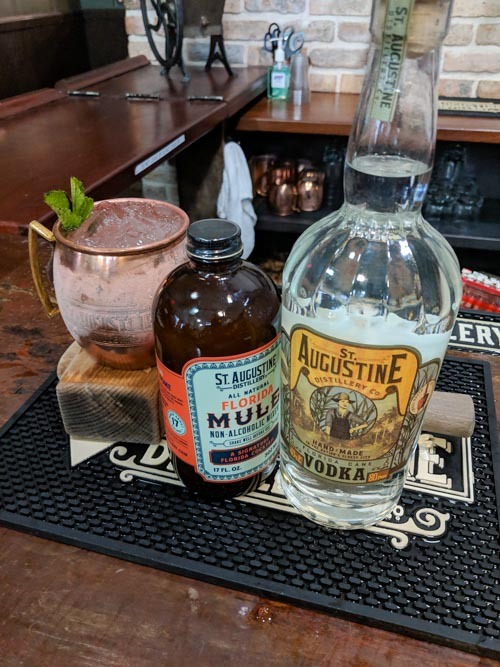 If you’ve read some of our other posts already you’ll know that we like to visit wineries, breweries and distilleries even though we are travelling with kids so when I saw the reviews of the St Augustine distillery I knew we had to go. There is free parking behind the distillery which can get busy on the weekends and in the summer. Housed in an old ice factory the focus on quality, sustainability and community here really impressed me. The tour is free, just pick up a ticket when you arrive, the first tour was full so we waited half an hour for the next tour. 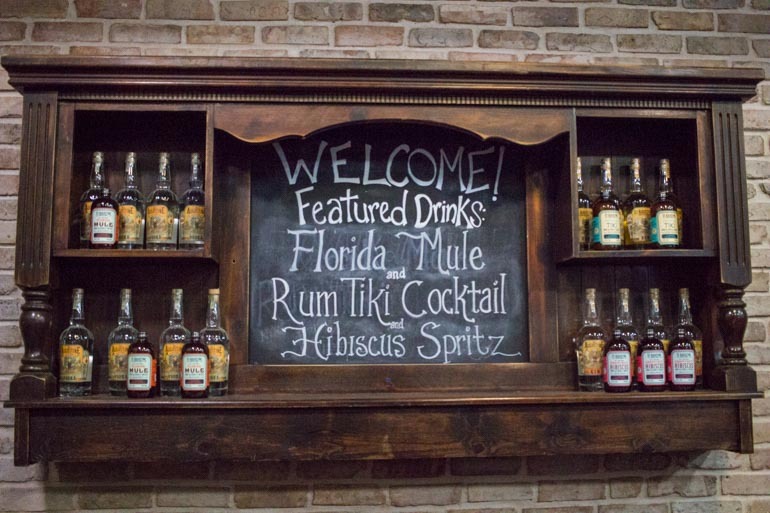 We easily filled our time trying some samples in the tasting room and reading about the history of the ice factory and distillery in the waiting area. 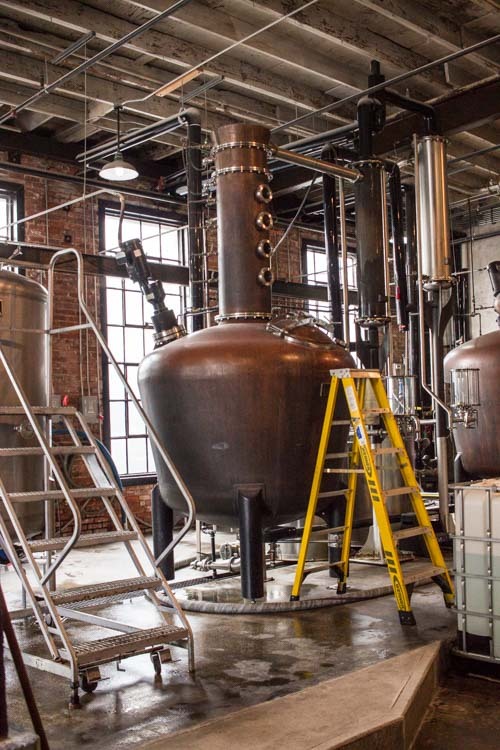 Our “spirit guide” explained the process of creating their signature spirits Vodka, Gin, Rum and Bourbon. We loved that one of the stainless steel distilling tanks had been affectionately named Ella (my daughter’s name). Our guide showed us how to make 3 cocktails in the saloon that has been outfitted using reclaimed pieces from the Wild West. We got to try 3 cocktails before heading through to the tasting room to try an “Old Fashioned” and some straight samples. There was pink lemonade and sparkling water for the kids and they were entertained and happy throughout. See Manatee and other wildlife in Florida’s State Parks. 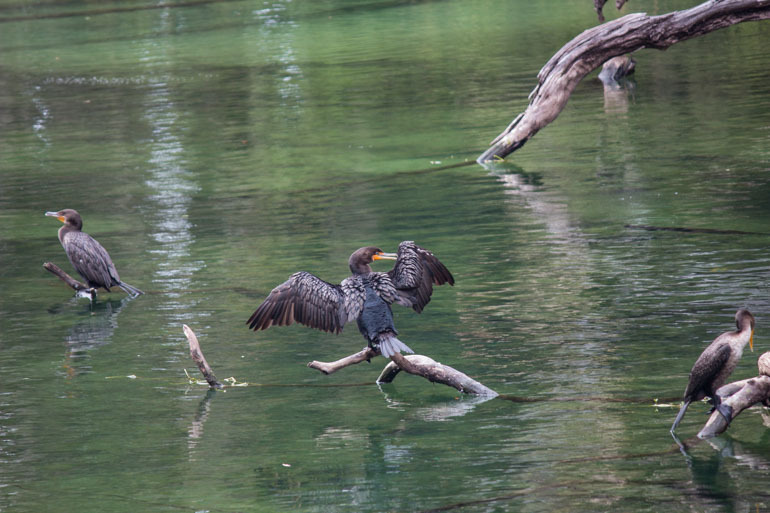 Florida’s State Parks host a variety of wildlife and there are many that are quenched by natural springs. The clean water has been filtered through the ground for millions of years bubbling to the surface and creating a crystal-clear habitat and great spots for swimming, kayaking and wildlife and bird-watching. Seeing Manatee has been on my wish list for a long time. My husband’s interest was also sparked after watching a Simpson’s episode where Marge is on a mission to rescue Manatees so he was also enthusiastic about seeing these unusual creatures. Florida is a great place to see Manatees. 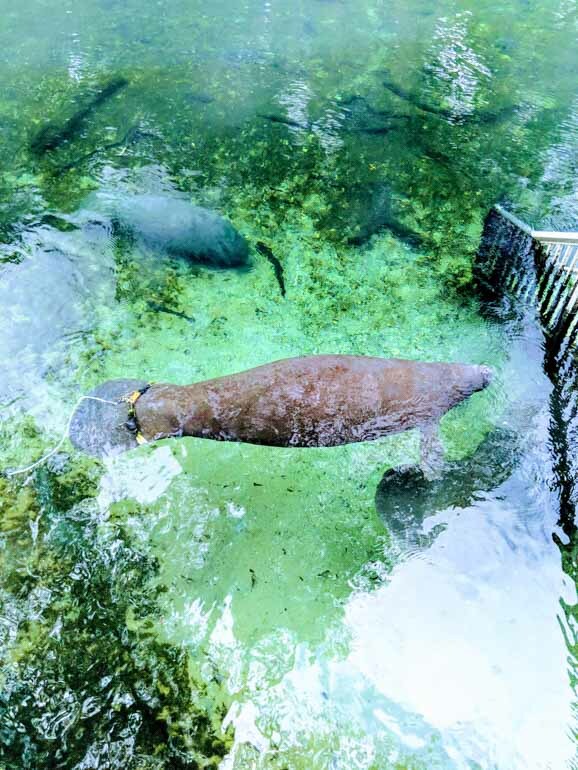 Manatee head inland up the rivers and inlets to warmer water as the sea temperature cools in the Winter (starting in mid-November). Crystal River on the West Coast is one of the prime locations to see Manatee but more than 2 hours from where we were staying meant it was a bit far for a day trip. After a bit of research and calling the ranger I found there were a few Manatee in Blue Spring State Park. At the start of November we were a few weeks too early to see the large groups that congregate in the winter. No guarantee we would see them but it was on our route to Disney so worth a try. Blue Spring State Park is near Orange City and not far from Orlando. The park is fed by a natural spring which stays a constant temperature year round of around 22 deg C or 72 deg F. It is a popular place from swimming, kayaking and scuba diving. There are board walks that run along the river as well as boat cruises, so it is very accessible. Walking up the river the water is crystal clear, with plenty of fish, some very large, and a lot of bird life. It wasn’t long before we can across a female Manatee with 2 calves, the smaller one would periodically suckle from the mother. Read Next: The complete guide to Acadia National Park with kids. 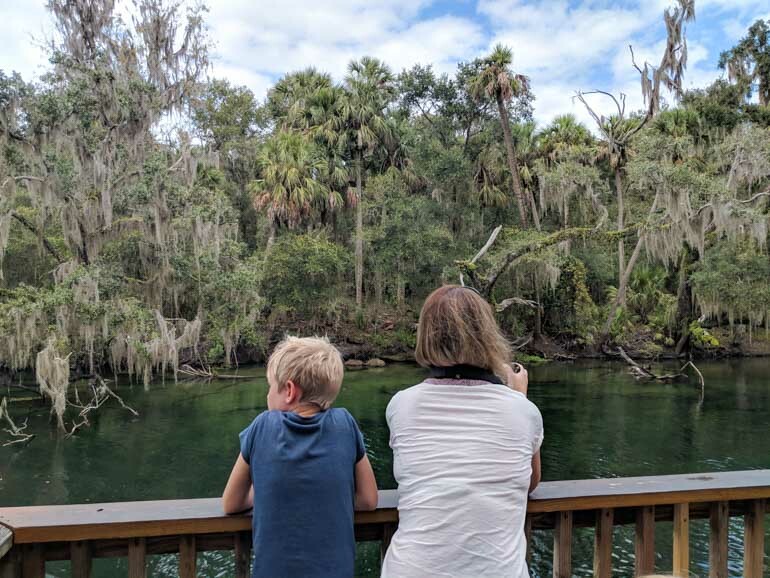 We were thrilled to have the chance to see a Manatee only meters away. Swimming is allowed in the spring (not near the Manatee) and we decided to go for a dip, though the reality of swimming where alligators are sometimes seen was less appealing once we got into the water. It was a refreshing but quick dip. On our walk back along the board walk we also saw tiny turtles and an armadillo. We love wildlife encounters. 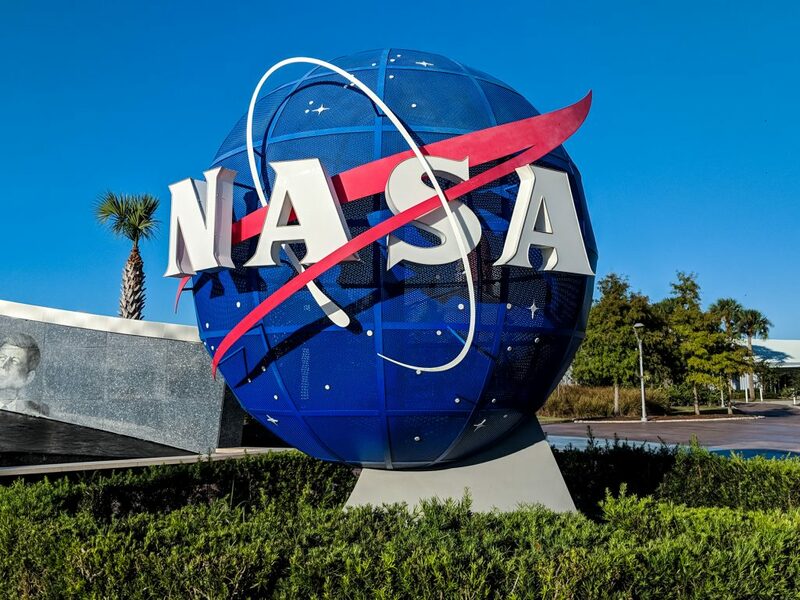 Visiting the Kennedy Space Center was what sparked our trip to Florida in the first place. A space unit in first grade was much loved by Blake and his father. We were living in Germany at the time but knew we would be relocating to the USA so a “when we move to America” plan was made. We visited midweek in November, outside of school holidays but it can get busy during peak times. 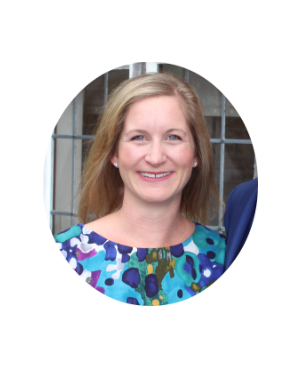 I found this great article and by following the advice we managed to avoid the bigger queues and crowds. Most of the exhibits are indoors and heavily airconditioned, great for escaping the Florida heat. We arrived just before 9am and left about 3pm, we had covered all the mains sites but there were still things we could have seen, such as an IMAX movie or giving the kids some more time to play on the large soft play structure. 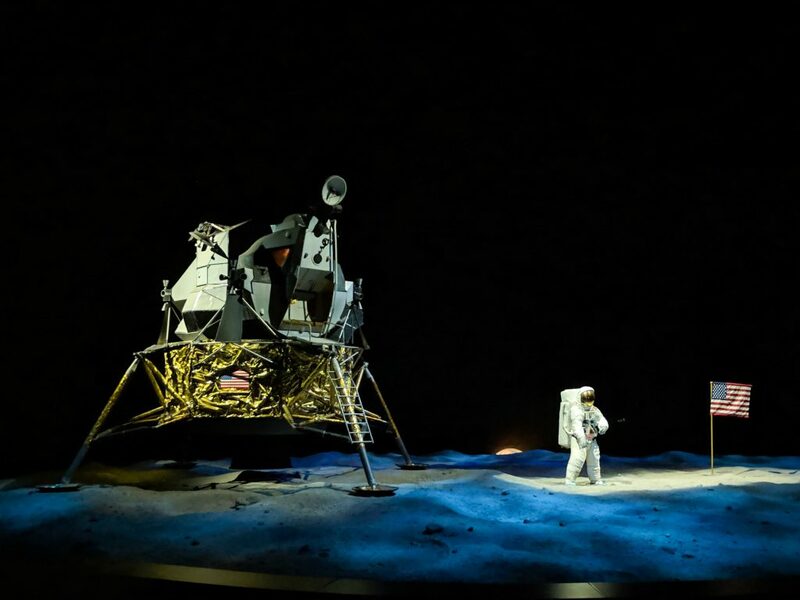 Most of the exhibitions start with a movie to introduce the history and challenges of the space missions that launched from here. This was great, especially when travelling with a pre-reader and for me as I have very little knowledge about space exploration. The highlights are the Space Shuttle Atlantis where you can see the famous shuttle. There are hands on exhibits and a shuttle simulation experience. The minimum height for the simulation is 44″. A very well organised parent swap system allows smaller children to watch the launch experience from “ground control”. 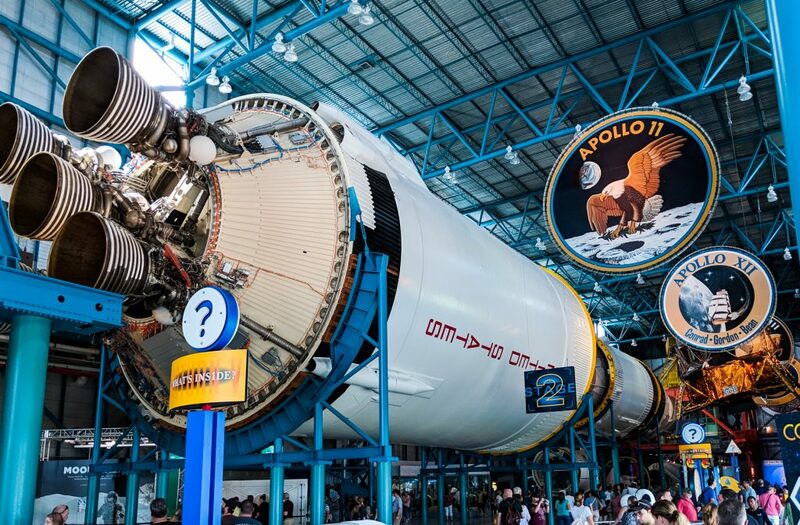 A bus tour will take you past the launch pads that have launched many famous expeditions and are still in operation today, stopping so you can explore the Apollo/Saturn V centre and learn more about the first moon landings. Journey to Mars is an exhibit on the upcoming journey to Mars and the challenges that will need to be solved to make the trip a success. Heroes and Legends has a 4D video experience that is well worth viewing, numbers are limited so you may need to queue for this one. The food options were limited to typical fast food and the quality wasn’t good. Consider bringing your own food and snacks. Disney World and Universal Studios are huge draw cards to Florida. 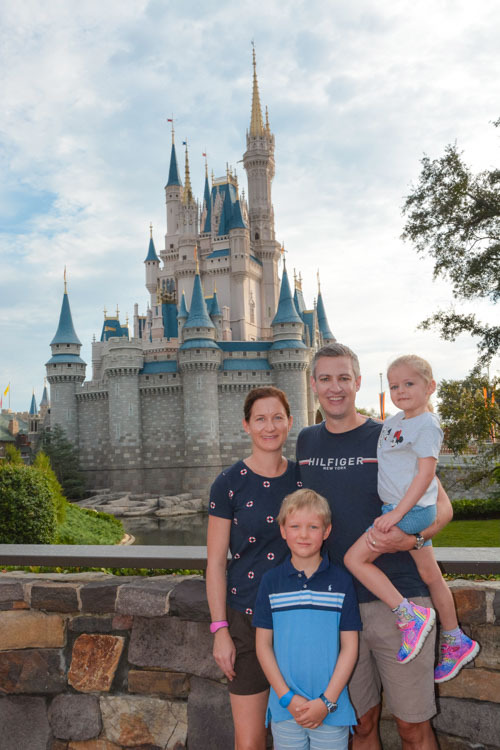 Entire trips could be organised around visiting Orlando’s theme parks alone, many Disney experts recommend a minimum 5 days at Disney to get the full experience. Does that mean you shouldn’t go to Disney for only 1 or 2 days? No way, we loved our 2 days at Disney and I think it was the perfect amount of time for us. We did 2 intense days at Disney from opening until (almost) closing, we walked just over 30km over those 2 days and scheduled a dedicated day of rest on the 3rd day, we sure needed it. 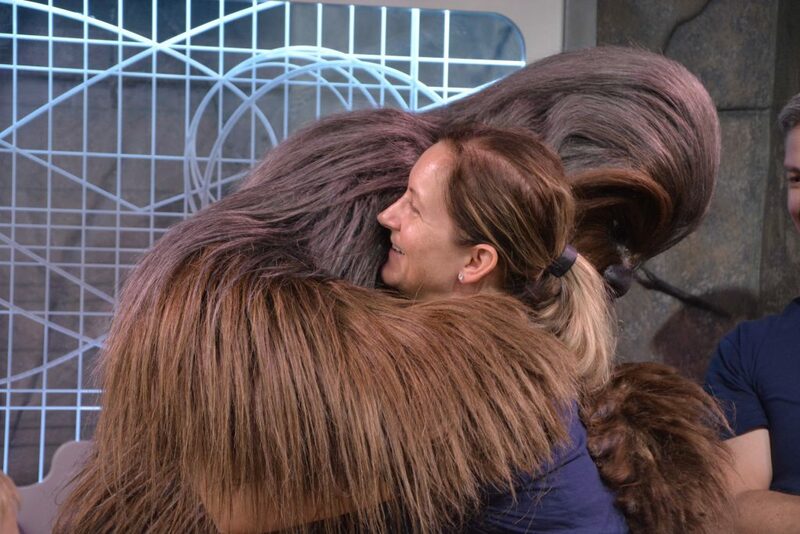 We are still buzzing after our Disney experience and I can see how people get hooked. The parks are designed down to the last detail and it is more than a theme park. Staying at a Disney Resort has some perks like free parking and transportation to the parks and being able to book your fastpass+ passes 60 days in advance (compared to the general public at 30 days prior). A fast pass allows you to skip the queue on your favourite ride, you get 3 of them for each day at the park and there are limited time slots available with the most popular rides getting booked out within minutes. Staying on site is also more expensive and you can find some great deals staying in an Airbnb or an off-site hotel only minutes from the parks. Magic Kingdom is a must do and then it is a decision based on personal preferences and interests as to which park to visit next. 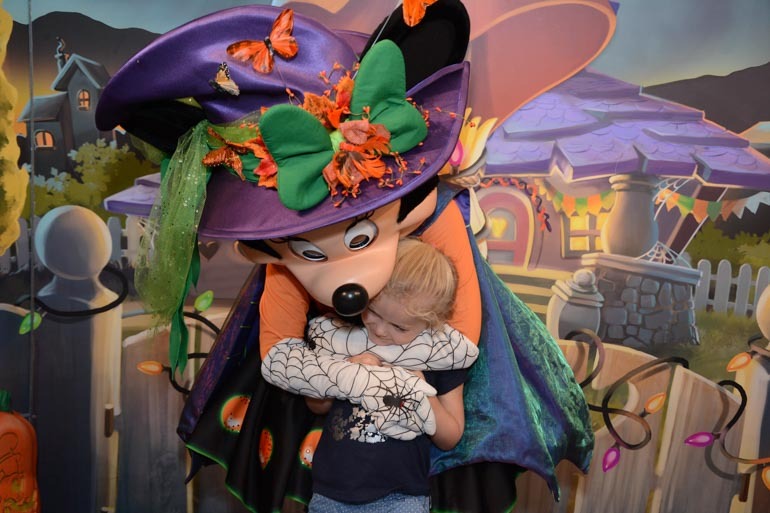 For us Hollywood Studios was the clear winner with the new Toy Story rides, Star Wars attractions and the Mickey Mouse spectacular Fantasmic, an outdoor multimedia light and character show. A trip to Disney is next level travel planning, I love winging it and going where the mood takes us but at Disney if you don’t plan you will spend more time in queues than enjoying the park. Disney deserves it’s own post so you can read about our trip here and how to start planning your own. 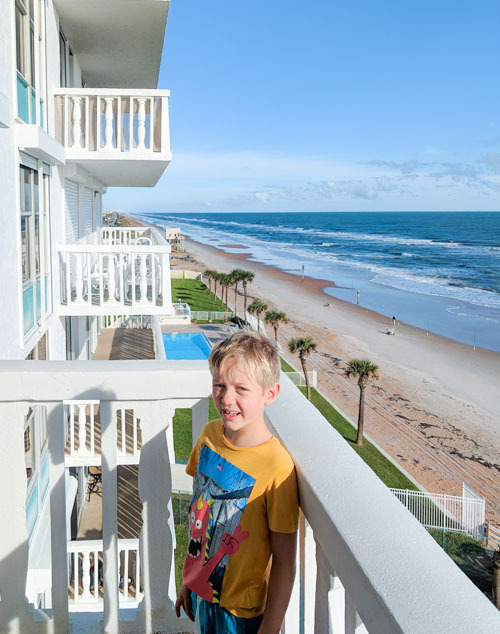 We stayed on Ormond Beach, there wasn’t a lot there, some condos, a few shops and a gorgeous long stretch of beach. We organised our condo through Home Exchange. The beaches around Florida are beautiful and there are plenty to choose from. Of course, if you aren’t into sand, salt and waves you can spend your time pool side. With so much to do in Florida it’s important to schedule some downtime. Spend some time relaxing by the pool, throwing a frisbee, making sandcastles on the beach, flying a kite, collecting shells or catching waves. You want to finish your holiday rested after all. 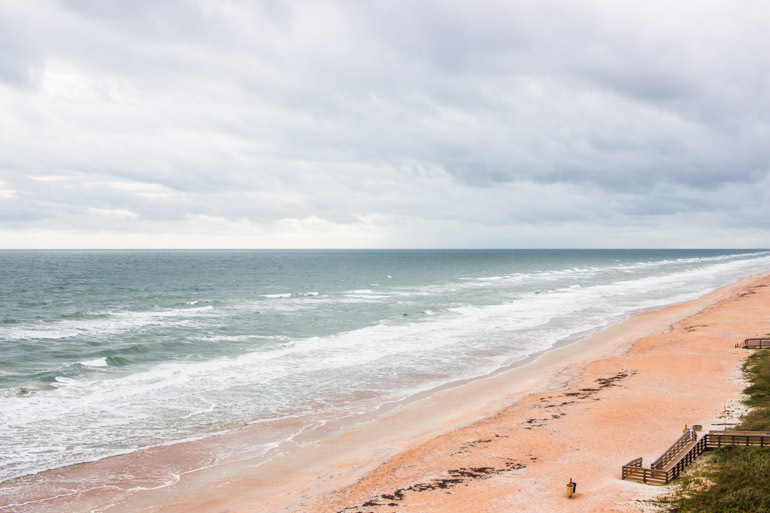 Here is a list of some of the best beaches near Orlando. 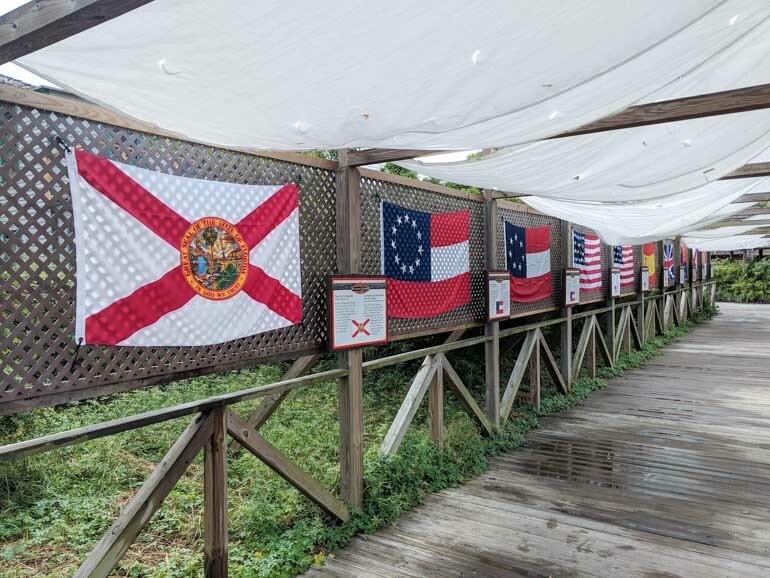 This won’t be our last trip to Florida, the state has so much to offer with warm weather, friendly people and such a diversity of attractions. As big Harry Potter Fans we will be back to visit Universal Studios and we might check out the other Disney World Parks of Animal Kingdom and Epcot.